Frequently, the Smithsonian, the Tate London and other prominent art galleries around the world hold tours and exhibitions that celebrate, not the art that hangs around their galleries but, rather, something taken for granted: The frames that border these works of art. Stunning pieces in themselves, historical picture and painting frames do more than simply provide a decorative ‘nice-to-have’ border around the work of art or conserve the painting’s integrity within. Martin Kotler, conservator of picture frames at the Smithsonian American Art Museum says that, while there are endless books on art, there are only a handful of books on frames. And this is unfortunate because frames have a surprisingly significant role in art history, culture and design. Understanding their origins and their meaning gives art aficionados a glimpse into the not-so-distant past. When you look closer, you’ll see there are all sorts of truly compelling details in the frames we use every day. 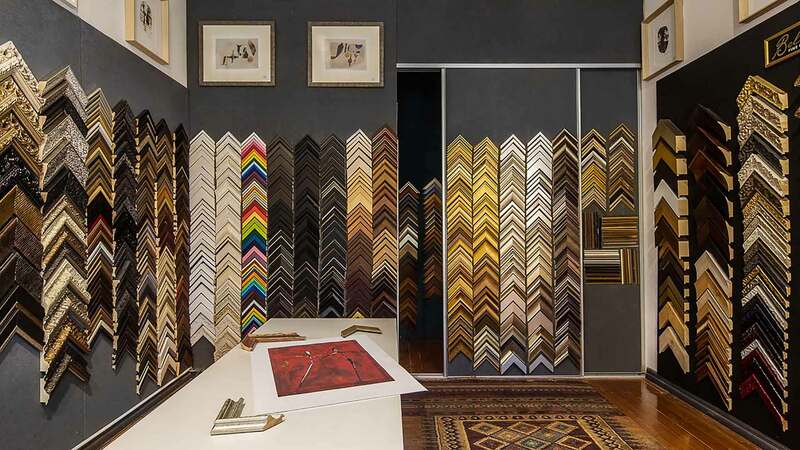 In fact, if you’ve ever sought picture framing in Adelaide, you’ll be surprised to learn how the modern frame evolved and came to be. Here are 5 things about frames that are sure to enlighten you! All framers in Adelaide know this one: it’s why we got into the business in the first place! Our love for art extends to the ways in which these works are preserved and showcased. After all, paintings, photographs and installations are meant to be seen — and, better yet, highlighted. As it turns out, the ancients thought the same way. When they were first developed, according to Picture Framing Magazine, framers focused on making frames ‘fit’ into an architectural setting rather than questioning whether or not the frame would complement the paintings they border. The early ancient Egyptians and Greeks used ‘framing borders’ for paintings on pottery and on walls to create ‘sections’ and separate continuous scenes. As a physical object, however, the earliest frames date back to AD 50-70. During the 12th and 13th centuries, hand-carved, wooden frames were used as an important decorative art of a church’s design. It’s at this point that we start to see frames resemble the use we have for them today: they were used in the church to separate different paintings. If this particular development in history hadn’t happened, there might not be any picture framers in Adelaide today. There became an increasing number of individuals who were interested in art and in private ownership outside the church. To help preserve the integrity and the overall ‘look’ of the painting, free-standing, moveable and independent units started to be developed, spurring frame makers to get even more ostentatious and artistic with their frames. Frames were made out of oak until pine started to become popular in the 17th century, just as the mobile movement was taking off. Why? Because pine was lightweight and easy to work with. However, carving intricate and ornate details and patterns into wood was still a time-consuming labour of love. To keep up with the sheer demand for ornate and intricate frames, while still keeping to their ‘patron’s’ (such as they were called back then!) deadlines, frame makers began to use papier-mâché in the 17th century so they could just press patterns onto the frame. In the meantime, larger frames still continued to be used and included in church altars. These frames were made out of the traditional heavy wood. Now, this was not just for decorative purposes, nor only as a way for church devotees to ‘exalt’ their artworks towards God. The use of heavier wood like oak was intended to provide structural support to the altar. This is why wood choices were very specific and included blends of oak, poplar, walnut, linden, chestnut, or elm. Obviously, art was related to wealth and power during the 17th century, especially since it was so tied into the church, as the monarchy was. Portraits of monarchs, nobles and other rich and powerful ‘society’ aristocrats were marked by the intricacy of the frames and the materials used, especially during the Renaissance period. Naturally, the more money one had, the more detail and imagery you could commission on your frame. Frames themselves, then, began to become signifiers of wealth and power, besides simply being beautiful. These ‘noble’ frames were carved from a blend of stunningly expensive materials like walnut, ebony, tortoiseshell, ivory, inlay and more. Has this inspired you to look closer or, at the very least, do a double take on the frames in a gallery? If so, you’ll notice that frames from the same time period or country have a kind of consistency to their design. And this is absolutely intentional. An ‘American’ frame, for example, is distinguished from its European counterpart through the use of certain iconographic carvings. An acanthus leaf is a very European motif while American frames might include images of tobacco, corn and wheat. These frames also changed in style and details alongside historic and cultural events. Photography, especially, had a huge impact on framing — not just because of the medium but because of buyers of the medium. In the mid-19th century, a fast-growing ‘middle class’ began to be able to make modest but notable ‘investments’ in photography and fashioned their own homemade frames. Some art movements, like Abstract Expressionism in the 1930s, required no frames or a mere strip of wood on the top. Like their subjects, frames have a life and a story of their own. Through their use and carvings, we can see great intentionality. In fact, even today, artists will insist on making their own frames for their artwork, which an acquirer might later change for those same ‘architectural’ reasons: to have a painting match in one’s own home. At Art & Frame, a team of professional framers in Adelaide, our craftsman and frame makers endeavour to provide our clients with custom-made frames and fittings. To preserve the original ‘aesthetic’ look of your painting, portrait or photograph, we’ll work with you to find the best design — one that both compliments your artwork and your interior space. Contact us today and let’s partner together on your next framing project in Adelaide.